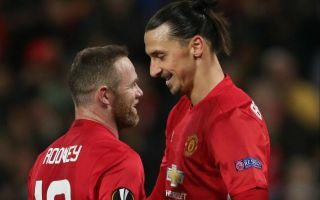 Manchester United have been told they lack leaders like Zlatan Ibrahimovic after player power led to Jose Mourinho’s sacking. That’s the view of former Arsenal star Paul Merson, who has slammed United’s players for the manner of their former manager’s departure this week. The Portuguese tactician was relieved of his duties on Tuesday morning, leaving Old Trafford after two and half years in charge. Mourinho continues to divide fans, pundits and general critics, with Merson clearly firmly of the view that his players let him down. Others would argue the 55-year-old seems a little out of step with the modern game despite so much success earlier in his career. At the end of the day, it’s hard to argue with the lack of results and poor quality of football leading to Mourinho’s exit this week. Merson, however, has gone on an epic rant in his Daily Star column slamming this United squad and saying they lack a leader like Ibrahimovic, who he feels would not have allowed their levels to drop so considerably. ‘They (United players) are paid so much they think they are bigger than the manager,’ Merson said. ‘They stopped listening to Mourinho a long time ago. You watch them this week. They will be running around like maniacs desperate to do well for the new manager. ‘Where was their desire against Liverpool? It’s easy street. They don’t care. ‘It’s like they’ve just accepted they can’t compete with Manchester City and that Liverpool have gone past them.